Because the shoes make the man! We offer a variety of Alden Shoes for sale at our shop in Chestnut Hill Philadelphia, PA We carry fine leather men’s dress shoes in over 300 styles, textures, colors. Designer shoes in suede, leather, alligator, ostrich, exotic and other exotic leathers. Dress shoes, moccasins, oxfords, wing tip shoes, slip on shoes, saddle shoes, loafers, boots and more. 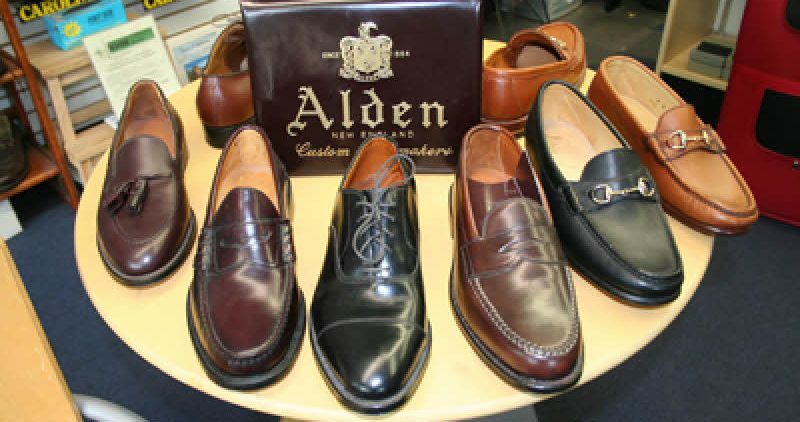 We want your Alden shoes to look new for years to come! If your Alden shoes show signs of wear and tear or have a scratch or stain, bring them to Carman’s Shoe Repair. Don’t send them back to the factory or manufacturer, we can repair and rejuvenate them in our shop on Germantown Avenue. And, we do it faster and more economically. Our typical turn around time is 2-5 days and our packages range from $44 to $98 depending on whether our not we need to completely replace your soles. 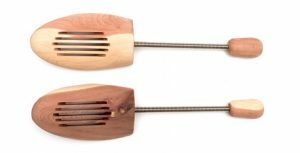 Learn more about our leather and suede shoe reconditioning service here, and compare the packages.